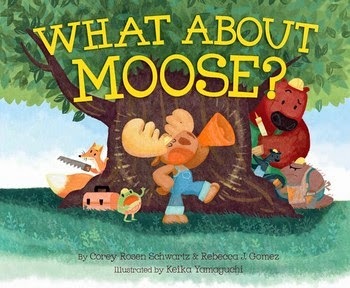 Rebecca J. Gomez: WHAT ABOUT MOOSE? It takes a team to build a treehouse--but what if that team includes one very bossy moose? 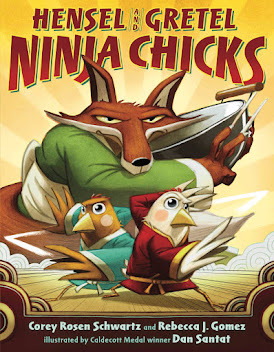 When Fox, Toad, Bear, Porcupine, and Skunk set out to build a tree house, they know just what to do: they'll follow a plan and they'll work as a team. But when bossy Moose barges in and upends their plans with some of his own, his friends become more and more frustrated...until things go hilariously awry. 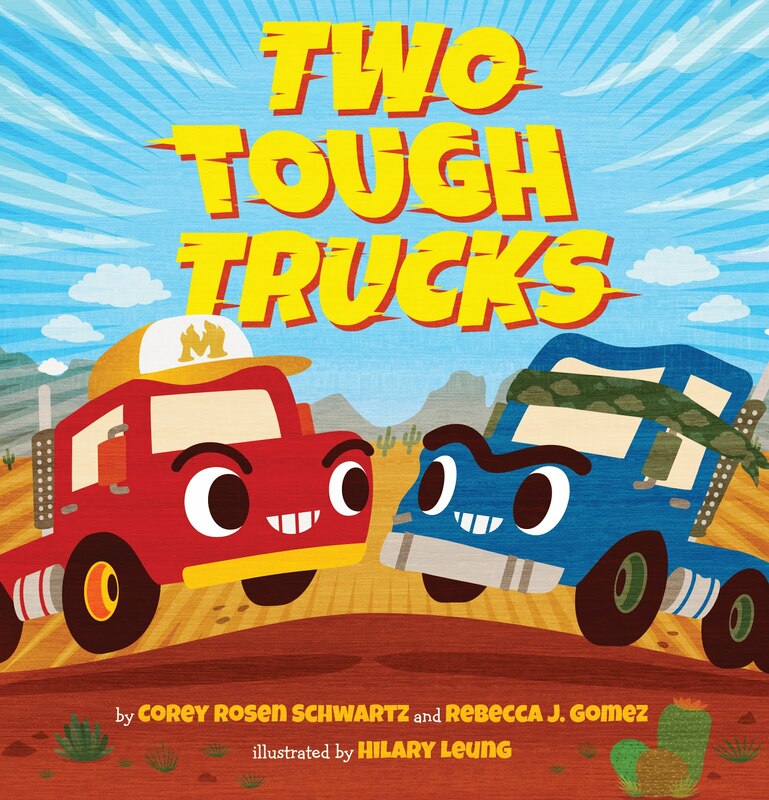 This lively rhyming picture book is pure, bouncy fun even as it imparts a subtle lesson about teamwork. Young readers will love to chant along: "But what about you, Moose?" Watch the WHAT ABOUT MOOSE? trailer here!